In stark contrast to my podcast co-host, Mike Hobbs, my painting table is currently looking a bit of a mess. 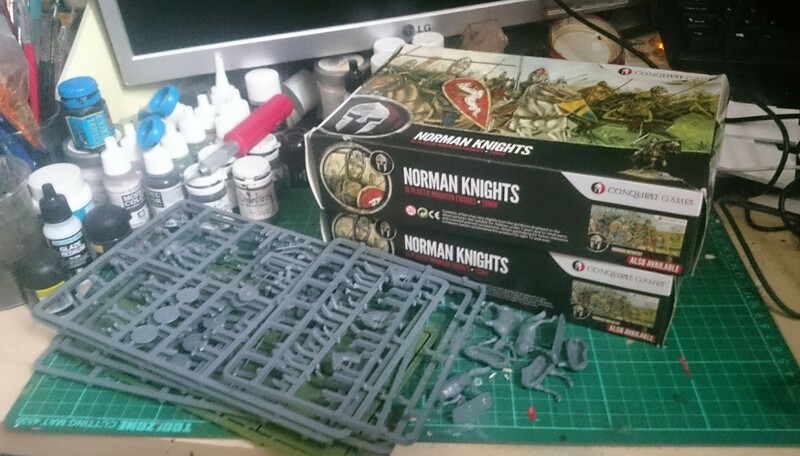 I’m currently at the start of building several new Norman cavalry units for Saga. Hoping to get these built and undercoated during the week.